Effective March 1, 2019, please visit https://scheduler.itialb4dmv.com/schAlberta to book your road test online. 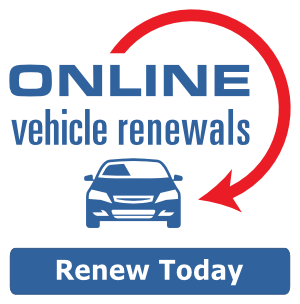 Should you require a rental vehicle for the test, please visit our Online Services store to purchase your rental vehicle. If your last name begins with the letters O, W or Me, your vehicle registration will expire on Monday, December 31. December 24: 9 am – 2 pm December 25 & 26: CLOSED Regular business hours December 27-29 December 31: 9 am – 4 pm January 31: CLOSED We will reopen with regular business hours on Wednesday, January 2. As of September 17, 2018, we are moving to serve you better. You can find us just across the street at 6410 28 Avenue, next to the Dollar and Party Store and near the Tim Horton’s in the Millwoods Mainstreet Plaza. If your last name begins with the letters K or P (not Po), your vehicle registration will expire on November 30, 2018. If your last name begins with the letter S (but not Sc or Sz), your vehicle registration will expire on Wednesday, October 31. If your last name begins with the letters E, R and Gr, your vehicle registration will expire on Friday, August 31. We will be closed on Friday, March 30 for Good Friday. We will reopen with special extended business hours on Saturday, March 31, from 10 am to 5 pm. We will have special extended hours on Saturday, March 31 from 10 am to 5 pm. Knowledge tests, Marriage Licence and Legal Name Change processing will be available until 4 pm.